I am a Postdoctoral Fellow in the LAboratory of Networked Systems in the Department of Computer Science of Yale University. My mentor is Dr. Yang Richard Yang. 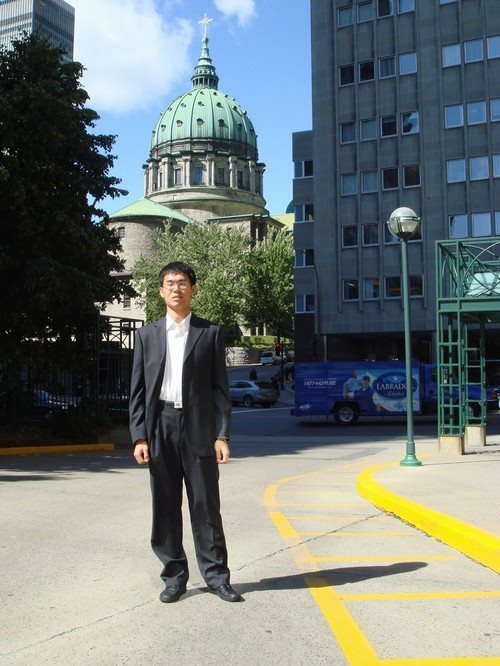 From 2014 to 2015, I was a Postdoctoral Fellow in the Cyber-Physical Systems Lab in the School of Computer Science of McGill University, mentored by Dr. Xue Liu. I received my Master and PhD Degrees from the Department of Computer Science at Wayne State University in 2012 and 2014, respectively, under the supervision of Dr. Hongwei Zhang. I received my Bachelor Degree in Information Security and Bachelor Degree in Economics from Nankai University in 2007. Please see my CV for more information. 11/2016 [Talk]: Our team gives a talk talk about a powerful SDN programming framework in SC 2016. 11/2016 [Talk]: I give a talk about a new data transfer service for CMS networks in SC 2016. 07/2016 [Paper]: one poster is accepted by IEEE ICNP 2016. 07/2016 [Paper]: one paper is accepted by IEEE RTSS 2016. 07/2016 [Service]: please considering submitting your paper to the IEEE Communications Magazine Special Issue on Sustainable Incentive Mechanisms for Mobile Crowdsensing. 06/2016 [Paper]: one paper is accepted by ACM Multimedia 2016. 06/2016 [Award]: I am awarded the travel grant of ACM SIGCOMM 2016. 06/2016 [Paper]: one paper is accepted by IEEE Communications Magazine . 06/2016 [Paper]: one poster is accepted by ACM SIGCOMM 2016. 06/2016 [Talk]: I give a talk on behalf of our team on Automatic SDN Pipelining from Algorithmic Policies at NSF Algorithms in the Field (AiTF) Workshop on Algorithms for Software-Defined Networking at Rutgers University. 05/2016 [Paper]: one paper is invited by IEEE RTCSA 2016. 05/2016 [Service]: I serve on the TPC for SDWN 2016 (co-located with IEEE MSN 2016). 05/2016 [Service]: we organize the 2016 ARO Workshop on Software Defined Networking for Army Applications at Yale University.